Police officers are supposed to protect and serve, but too often these days we hear about an officer who shot an unarmed victim, or an officer who was unnecessarily brutal with a suspect. Unfortunately, those officers are hardly ever reprimanded, and the incident is brushed under the rug to be forgotten about. 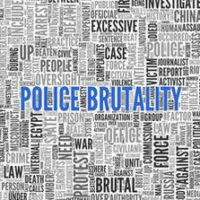 For victims of police brutality, it can be disheartening to know that your case may never seriously be heard, and that the offending officer will continue to walk the streets, free to commit more brutal acts against undeserving victims. Fortunately, the team at The Baez Law Firm is here to stand up for victims of police brutality and to ensure that it does not happen again. Our Orlando civil rights lawyers aggressively advocate on behalf of victims and use our knowledge of the law to make sure that the victim receives justice for the wrong committed against them. Much to many people’s dismay, police brutality is not a criminal offense. If you were assaulted by an officer of the law, your best option would be to file a civil claim against the officer. Typically, the claim would involve the “tort” – a legal term for a civil wrong – of negligence. The law under which you are protected is the Civil Rights Act of 1871 (42 U.S.C. § 1983). According to the act, the use of excessive force by a police officer violates the victim’s constitutional rights, and is grounds for a valid claim under section 1983 of the act. While the law clearly states that excessive force by a police officer is illegal, it can be difficult to define “excessive,” as the term varies depending on the situation. Typically, police officers are permitted to use whatever force is necessary to make an arrest and to defend themselves. The officer must use his or her discretion to determine what type of force is reasonably necessary. Unfortunately, in a court of law, a judge will assume that the police officer did what any other reasonable individual would have done with the officer’s knowledge of the given situation. This assumption makes it very difficult to prove police brutality, as it is more often than not the officer’s word against the victim’s. Additionally, as stated above, how much force an officer may use all depends on the given situation. If the suspect resists arrest, the officer may use more force than if the suspect were compliant. If the suspect threatens the officer with death or bodily harm, the officer is permitted to use deadly force. If the suspect flees from the officer, how much force the officer may use all depends on whether or not the person in question is believed to have committed a felony or a misdemeanor. The burden of proof is usually on the plaintiff in a civil suit. Unlike in a criminal trial in which the prosecution must prove the defendant is guilty beyond a reasonable doubt, the plaintiff in a civil suit must prove that the defendant is liable by a preponderance of evidence (meaning “more likely than not”). In the case of an officer sued for excessive force, the defendant must prove that there was a legal excuse for his or her actions. While you do not necessarily have to be innocent of the crime for which you were arrested, innocence will help in the event that an officer brutalized you. At The Baez Law Firm, we fight for the rights of the accused and the victimized. If an officer used excessive force against you, do not let his or her actions go unnoticed. Call attention to the violence by filing a civil suit against the offending officer. To obtain justice, allow the Orlando civil rights lawyers at The Baez Law Firm to represent you in your time of need. Call 800-588-BAEZ now to schedule your free consultation.